Flashlights are useful for safety, as well as recreation. For safety measures, most homes are stocked with extra flashlights and batteries, but you can use the flashlight in your junk drawer for many other purposes. Whether you are working on your car, planning a hiking trip or throwing a slumber party for your kids, you may want to turn on the flashlight. Flashlights are helpful for the obvious reasons. Keep flashlights in your home and vehicle in case of power outages and car troubles. When the lights go out, you are going to want something to illuminate your way to the phone. Since your car could break down at any time, a flashlight will be useful to get back to safety. You may still need to fix things when the sun goes down. If you are building something or working on your car, flashlights can help you see what you are doing. Since a lot of car repair happens underneath the vehicle, you may want someone to hold a flashlight for you no matter what time of day it is. You can hang up some flashlights or set them on a surface (like a lantern), allowing you to work hands-free. Mold can be hard to detect in regular light, but a bright flashlight aimed along the wall (not directly at the wall) can show the hard-to-see toxic mold. Finding the mold is the first step in having the mold tested and effectively cleaned from your home. 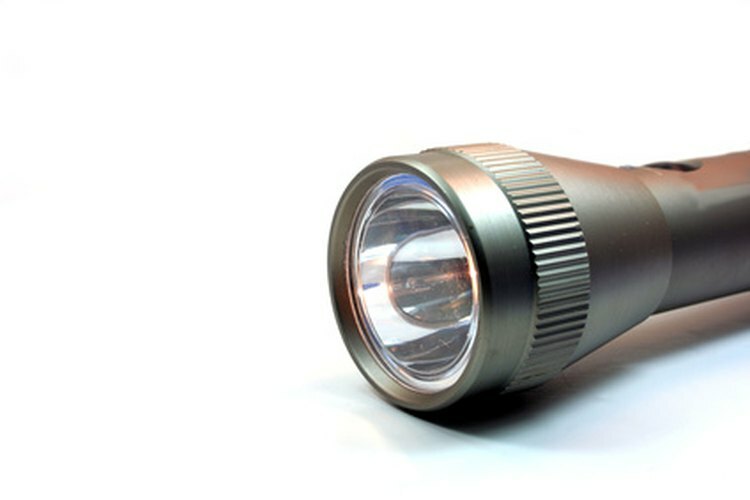 Flashlights can also show water leaks from plumbing or ceilings. An eye doctor uses a flashlight to check your eyes, a dentist uses one to look at your teeth, and your regular doctor looks in your ears, nose and mouth with one. The flashlight is the key to your diagnosis for many illnesses. You may use your flashlight at home to look at your throat in the mirror to see if it looks swollen when you have a sore throat. Whether you like to take walks at night or you are taking your kids trick-or-treating, you need a flashlight to help you see the way, as well as stay safe. Maybe the only free time you have to jog is early in the morning. Either way, pick up a flashlight on your way out the door. If you ride your bicycle at night, you may want a headlight to see and be seen. Attach a flashlight to your helmet with fabric fasteners, duct tape or rubber bands to light your way. Also, flashlights are great for hiking trips if you are planning on checking out some caves. Toss a couple in your backpack just in case you want explore or if you get lost after dark. Slumber parties and camping trips are more fun with flashlight games. From flashlight tag to scary story time, the flashlight turns into the entertainment for the night. For example, according to the Scouts website, show everyone an item and then hide it in plain sight. Turn off the lights and bring the group in with flashlights. Whoever finds the object first wins.